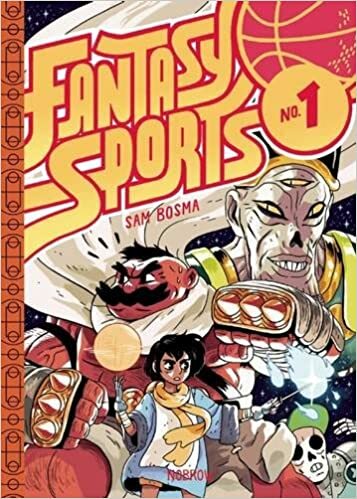 In Sam Bosma\’s debut graphic novel, a young explorer and her musclebound friend go treasure hunting in a mummy\’s tomb—but if they want to get rich, they\’re going to have to best the mummy in a game of hoops! Can they trust their bandaged adversary to play by the rules? Or will they be stuck in the tomb . . . forever? A fast-paced sports adventure graphic novel in the vein of 1960\’s manga, Mike Mignola, and Raiders of the Lost Ark, Fantasy Ball is poised to be Nobrow\’s first breakout adventure comic for the indie and YA scene.